Thanks again for reminding me of Creative Friday and saving me from my gloom. I had a not so nice day yesterday after I received a brash - rather unloving - note from a customer. Isn't it funny how one little thing can ruin a person's whole day? Though I tried my hardest not to I spent the rest of the day thinking of it. Then went to bed and could barely sleep because of it. Please remember folks that all of your actions - small and big - do have an impact on folks' life. Be kind to everyone! 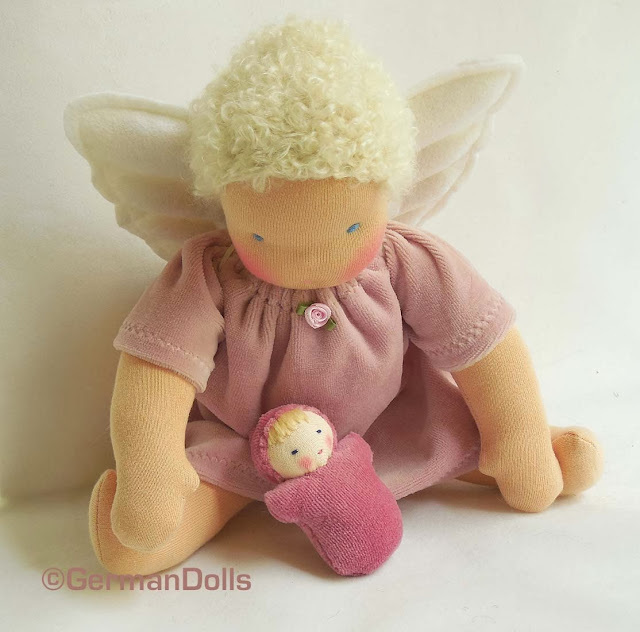 This angel doll is my most beloved creation of the week. She is soft and sweet, and it gave me great joy to take her photos. Anybody who makes such lovely dolls must be an angel herself. 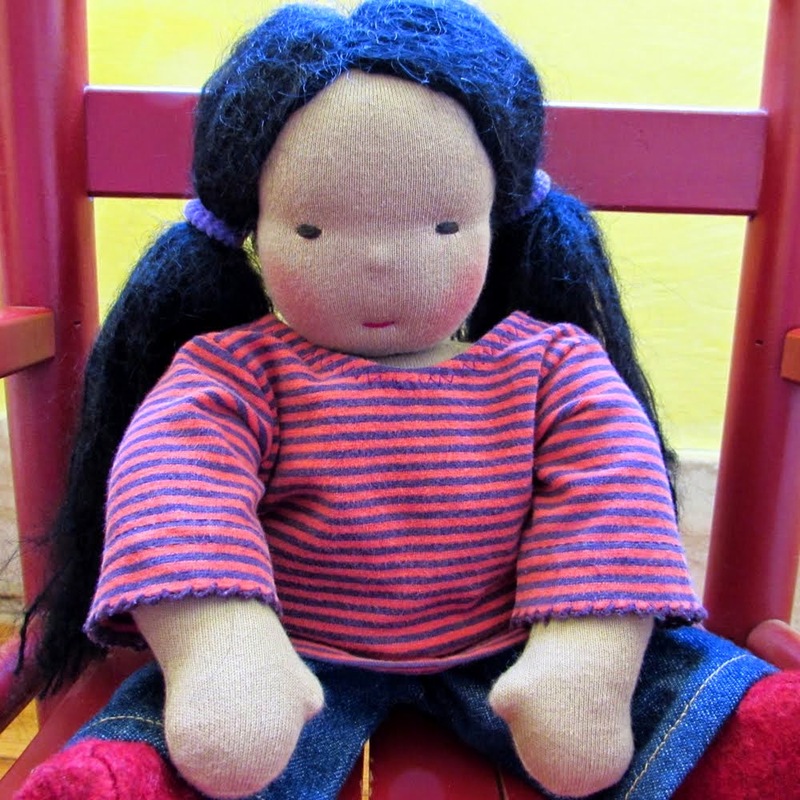 Thanks so much for your kind remarks on my dolls big and small! I really appreciate them a lot!